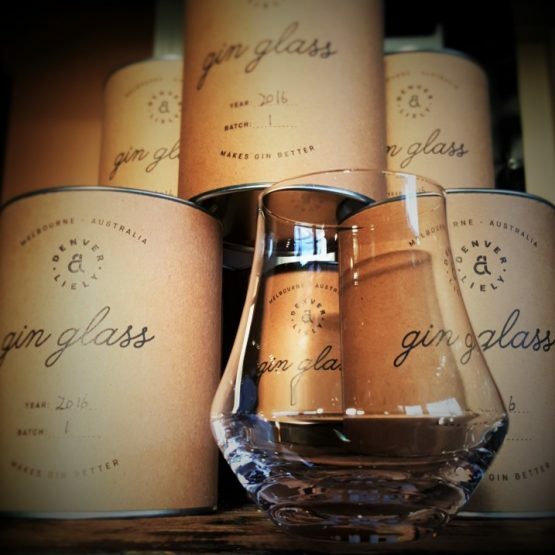 After much research, development and professional testing at many of Australia’s gin distilleries and across many bars internationally, Denver and Liely have released the much anticipated Limited Batch gin glass! Designed for the old school gin cocktails and the new school sipping gins, this glass will bring a new sensory level to your gin experience. Grab your glass and come exploring with us. So how does it all work? The cleverly considered funnel and smaller sized opening with respect to ice concentrates the smell, which increases as you go whilst enhancing the taste, taking you on a delectable journey for the length of your cocktail or sipping gin. Each glass is hand blown in order to get to the specific dimensions and wall complexity required, resulting in a level of quality unmatched by machine.